The passport is the main document of a citizen, certifying his identity. The laws of the Russian Federation, every person of fourteen years of age must have a passport, otherwise he will have to pay a fine. But what to do in that situation if the passport is lost. It needs to be restored, and part of that process is writing a statement about the loss of the document. - money for the payment of fees. Prepare the necessary documents. Make passport photos. Also prepare the documents on which the passport is to put the necessary level of military ID, marriage certificate, birth certificate, also at your request we can provide the certificate you tax identification number (TIN) medical certificate to the group of blood and RH factor. Pay the state fee. For persons who lost his passport in 2011, it amounts to 500 rubles. You can download and print a ticket on the website of the Federal migration service (FMS) and subsequently to pay it through any Bank, or come to the savings Bank and fill out a receipt in accordance with the model placed on a special stand in the branches of the Bank. Fill out the form specify not only the details of the recipient, but also the purpose of payment and your personal data - surname, name, patronymic and address. Come in the Department of the FMS at the place of residence with all the documents. His address can be found on the official website of the organization, in the "FMS of Russia" in the subsection "the Local bodies of the FMS of Russia". To place fill in a statement about the loss of your passport, which you must specify how he was lost, and where and when. Also you need to write and the second statement, already on the issuance of new identity document. The documents must be written according to the sample that will be given to the immigration officer. Don't forget to get a certificate confirming your identity for issuing passports. Also, check when you can pick up the finished document. Its design usually takes one to two weeks. After the required time will receive your new passport. If it's not already done, put in it a stamp about registration in its management company. The statement about loss of passport together with relevant documents submitted to the passport office. 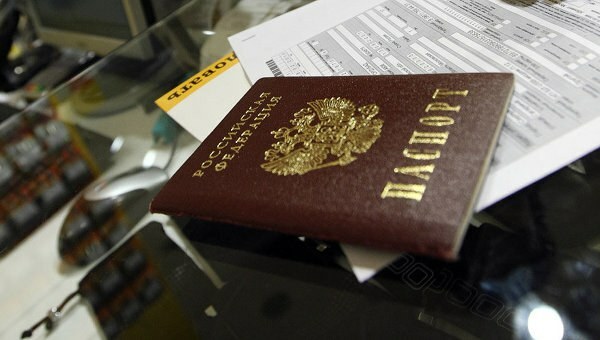 Among the documents is a payment document certifying the payment in the full amount of the state fee, including the cost of making new passport, extract from the house register at the place of residence of the applicant, attesting to his legal residence, and 4 photos of the format defined for the passport.